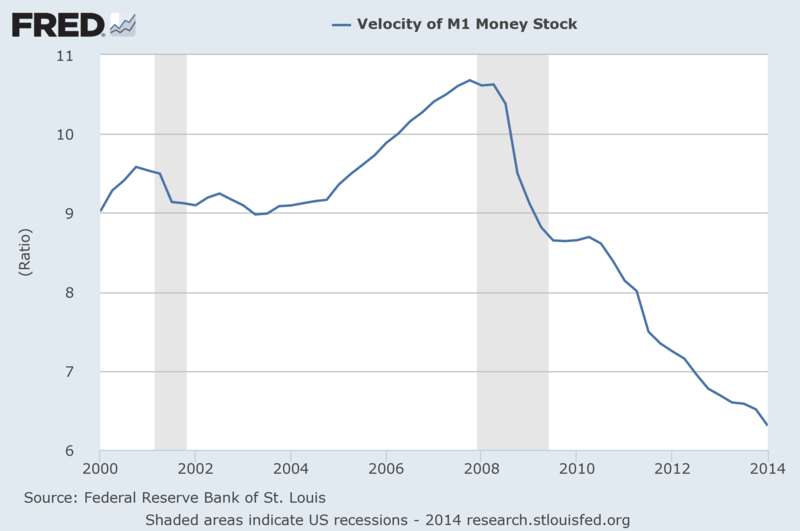 Under the imposition of StealthFlation, asset prices are deliberately inflated in an irrational attempt to elicit a vapid wealth effect, while the generative velocity of money is extinguished. Worse still, the seeds of hyperinflation are sown, as the compromised overtly financialized economy becomes increasingly dependent upon the interminable entirely destructive monetization. The inflationary risks are deliberately concealed and remain latent due to the synthetic suppression of determinant free capital market forces. However, the grossly excessive supply of money has definitively been created, and it will debase the currency via inflation, it’s just a function of time. When an economy is healthy, there is much buying and selling and money tends to move around quite swiftly. Unfortunately, the U.S. economy is manifesting the precise opposite of that these days. 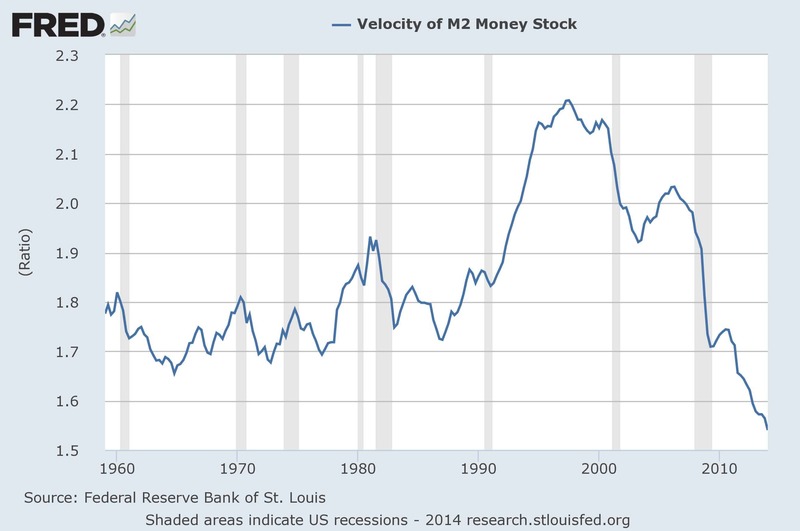 In fact, the velocity of M1 & M2 has fallen to near all-time record lows. This is a very serious indication that the underlying economy has entered a period of extreme stagnation. In its infinite wisdom, the Federal Reserve has been attempting to counter this economic standstill by absolutely flooding the financial system with newly printed money. As it always does, this has created monumental financial and fixed asset bubbles. However, it has not addressed what is fundamentally and structurally wrong with our economy. On a very basic level, the amount of real economic activity that we are witnessing is not anywhere near where it should be, and the anemic flow of money through our economy is proof positive of the ongoing dilemma. 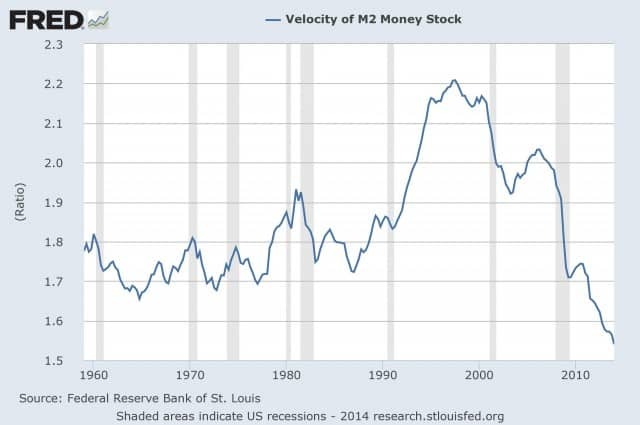 Clearly, the transmission mechanism between the relentless synthetic origination of fresh money by the monetary miracle men and the velocity at which that new money is circulating in the real underlying economy on the ground is completely disconnected, FUBAR. Why is this? Well, it’s really not that difficult to comprehend. First of all, much of the supposed economic activity generated today is not being driven from the the bottom up by the healthy deployment of excess savings naturally created from genuine self-sustaining productive economic activity at the fundamental level, but rather in an unnatural fashion, force fed from the top down via the easy street ZIRP/QE induced debt financing incessantly being encouraged by our misguided megalomaniac monetary authorities. Perhaps even more malignant, the largest capital market of them all, namely the U.S. bond market has been put down by the Fed’s activist zero bound anesthesiologist. Thus, the utterly comatose American treasury market is no longer facilitating the natural growth of traditional savings income streams generated via secure interest bearing accounts and prudential savings products throughout the financial system’s depository structure. 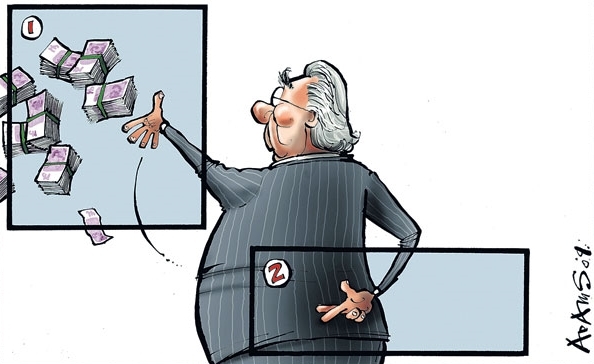 In short, the healthy income flows constructively generated from legitimate savings produced from genuine economic activity, namely people going to work every day, has been effectively terminated by these wizards of wanton monetary policy at the wayward central bank. Let’s face it, if the major pension funds can’t generate 5-6% per year holding conservative debt instruments in order to meet their massive obligations, they are up a creek without a paddle. They require substantive returns in order to remain solvent. The Fed understands this all too well, they are most concerned on that score, and so should you be. Having thoroughly shut down the sound, well established and effective channels of capital formation, which have consistently engendered bona fide and constructive growth over the years through the virtuous avenues of productive savings, the foolish authorities have left themselves utterly hamstrung with only one risky road to travel down. Indeed, now that they have totally cracked the transmission on our fiscally busted and broken down American bus, they have become 100% reliant on the equity market to drive their top fuel funds into the U.S. economy via the wealth effect. Pedal to the metal at 2,000 SPX mph. Make no mistake my friends, we are on a crash course, and we will hit the wall.